Good, fast, and cheap: pick any two. This tongue-in-cheek warning from business and project management circles points out that decisions often involve trade-offs. If you want it good and fast, it won’t be cheap; if it is fast and cheap, it may not be good, and so on. There is a similar trinity of factors in financial asset management: Safety, liquidity and yield. Smart cash managers seek to find the best balance to match their business goals and risk appetite. Cryptocurrency, such as Bitcoin, Quark and others, has grabbed a lot of attention recently. I think that a lot of that is due to its apparent rise in value as speculation has taken hold. This enthusiasm for cryptocurrency from investors may be obscuring a more profound and long lasting phenomenon, the development of blockchain, the underlying technology that makes it possible. Run a quick Google search and you’ll find thousands of articles on how to properly manage your your company’s finances. There’s so much information on the topic, in fact, that it can be difficult for business owners to know where to start. But sometimes, simply looking at the challenge from a different angle can offer new insights on how to improve. As a business executive, cash management is a vital skill. Cash is one of the top five financial variables by which business are evaluated for potential investment, commercial loan approval and the sale of the business. It is the fuel that drives growth, and managing cash incorrectly can have a negative impact on the success of your business. Back in the day when I was new to banking and I first heard about people taking out loans secured by their own bank deposits it seemed, well, illogical. If a borrower already has the money, why does he need to borrow at all? It’s a good question, and sometimes the answer is that it is better just to use the money on hand and not borrow. There are circumstances, however, in which borrowing against one’s own money on deposit makes perfect sense, even to Mr. Spock. The first money market mutual fund, The Reserve Fund, was established in the U. S. in 1971. These funds were set up to allow investors to earn a small rate of return while keeping their money safe and liquid. They were designed as an alternative to bank accounts. At that time Regulation Q prevented banks from paying interest on demand accounts and capped the rate of interest that could be paid on other deposits. The idea was that the funds would invest only in short-term, high quality securities such as U. S. Government securities and high-grade commercial paper. They would have a net asset value (NAV) of exactly $1.00 per share at all times. For the most part, money market mutual funds have been stable and safe investments since they were first formulated, with just a few exceptions. Some businesses have deep cash flow cycles that can test the skills of the best cash manager. For enterprises that must invest up front in labor, materials, and inventory before being paid, a line of credit sweep can be the answer. Now that the new year has begun, it’s time to start your business tax preparations for the last year. 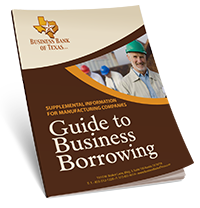 We have several articles by contributors on the Business Resource Center that may help you with this task.